In a ruling that could change the workplace status of people across the state, the California Supreme Court made it harder April 30 for employers to classify their workers as independent contractors. The unanimous decision has implications for the growing gig economy, such as Uber, Lyft and other app-driven services — but it could extend to nearly every employment sector. In recent years, the hiring of workers as independent contractors — not subject to government rules on minimum wage, overtime and rest breaks — has exploded. A 2016 study by economists at Harvard and Princeton universities estimated that 12.5 million people were considered independent contractors, or 8.4% of the U.S. workforce. The ruling is likely to lead many employers in California to immediately question whether they should reclassify independent contractors rather than face stiff fines for misclassification, employment lawyers said. “A huge number of businesses will be calling their lawyers saying, ‘What should I do?’ ” said Michael Chasalow, a professor at the University of Southern California Gould School of Law. A worker may be denied the status of employee “only if the worker is the type of traditional independent contractor — such as an independent plumber or electrician — who would not reasonably have been viewed as working in the hiring business,” the court said. Instead, an independent contractor would be understood to be working “in his or her own independent business,” Cantil-Sakauye wrote. The ruling came in a class-action lawsuit against Dynamex Operations West Inc. a package and document delivery company that has counted Amazon.com among its clients. The suit charged that Dynamex misclassified its delivery drivers as independent contractors rather than employees. A lawyer for Dynamex referred questions to a company spokesman, who could not be reached. The ruling did not resolve that case but defined independent contractors for lower courts that are grappling with the dispute. The court said wage and hour laws were adopted to enable people to earn a subsistence standard of living and to protect workers’ health and safety. The laws also shield the public from having to assume financial responsibility for workers earning substandard wages or working in unhealthy or unsafe conditions, the court noted. According to the California Labor Commissioner’s website, the misclassification of workers as independent contractors costs the state about $7 billion in lost payroll taxes each year. Worker classification is the core issue in recent labor disputes between unions and trucking firms serving the Los Angeles and Long Beach ports. Julie Gutman Dickinson, an attorney for the Teamsters Union’s port trucking campaign, said the ruling lays out clear guidelines for when a worker is an independent contractor in a way that will benefit workers in all industries. “This is an effort to level the unequal playing field — misclassified workers have been taken advantage of for decades,” said Dickinson, a partner at Bush Gottlieb. 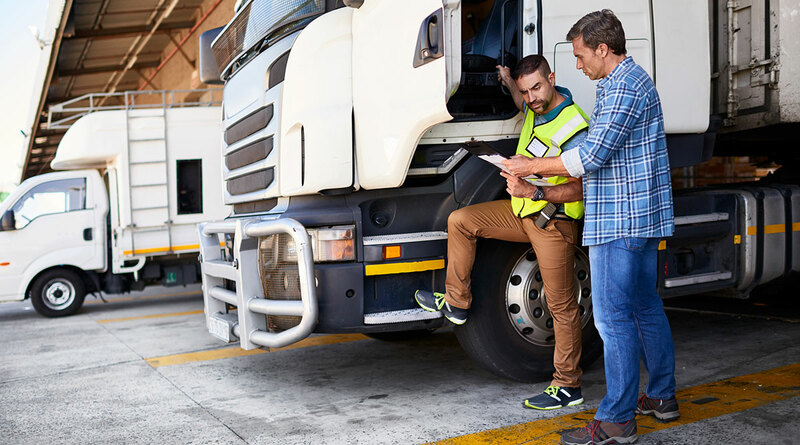 The California Labor Commissioner’s Office and the courts have repeatedly found that port truck drivers were misclassified. Dickinson couldn’t think of a case when she thought a port trucker should have been an employee, and the government found otherwise. Still, she said the new standard should speed up the timeline on which the government finds a worker to be misclassified. It will “accelerate the trend by states toward expanding worker protections, in part as a counterweight to the restrictions on worker rights under federal law,” predicted Michael Rubin, a lawyer who represented employee rights and civil rights groups and labor organizations in the case. Rubin noted that California now has followed Massachusetts and New Jersey in restricting the ability of employers to call workers independent contractors. He said hundreds of lawsuits in California allegge employee misclassification. The ruling, said USC’s Chasalow, provides some clarity on the responsibility businesses have when classifying workers as employees or independent contractors. Previously, he said the standard was somewhat of a “black box” test that chiefly relied on what level of control companies had over the worker — something that could be interpreted in different ways. Under the new standard, Chasalow said, drivers for Uber and Lyft should be classified as employees because those companies’ usual course of business is providing rides. However, Chasalow cautioned the ruling only applied to wage orders, which set rules on minimum pay and basic working conditions such as meal and rest breaks. It would not apply to workers’ compensation or tax purposes, he said — opening up the possibility a company could classify a worker in different ways for different purposes. It also doesn’t touch on a key dispute in the Uber and Lyft cases, now being heard in federal courts: whether drivers should be reimbursed for gas, car repairs and insurance. Uber declined to comment, and Lyft did not respond to a request for comment.